An exhibition featuring new work by renowned local artists has been revealed, starting in the New Year. Fertile Ground features the likes of Barbara Gibson and Mark Murphy, and will feature at Argentea Gallery from January 10. 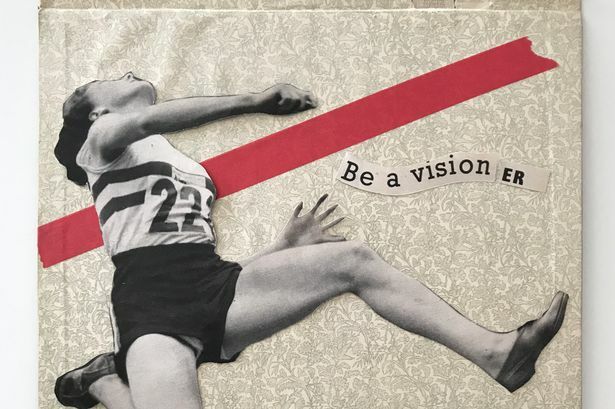 Ms Gibson uses vintage images from mid-twentieth century magazines to create socially engaged pieces that reflect upon gender issues. Birmingham designer Murphy specialises in surreal pieces. Mr Murphy&apos;s work plays with scale and form to produce simple, surreal pieces by taking pictures from books and magazines from the past 60 years. He said his work critiques modern culture by literally slicing apart its imagery and reassembling it into striking, disjointed combinations. The exhibition will be on show at the gallery, on St Paul&apos;s Square, from January 10.